The head of Britain’s foreign spy agency MI6 has reportedly made a secret visit to Tel Aviv and exchanged views with Israeli intelligence officials on Iran’s nuclear activities. 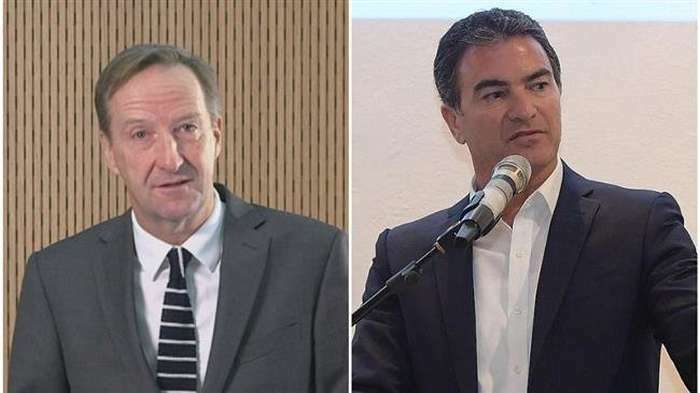 Israel’s Channel 13 news reported on Friday that MI6 chief Alex Younger traveled to Israel on Monday and met with Mossad head Yossi Cohen and other Israeli intelligence chiefs. The TV report claimed that Iran has recently renewed its production of centrifuges, “and is gearing up for the renewal of uranium enrichment” within the provisions of the 2015 nuclear deal… – Press TV Photo: MI6 chief Alex Younger (L) and Mossad head Yossi Cohen.